Hi again, I’m your paper engineer coordinator Kevin with another Monthly FOLD. This time it’s the Little Turtle kusudama by Tomoko Fuse, which can be found in the book ‘Unit Origami: Multidimensional Transformations’. 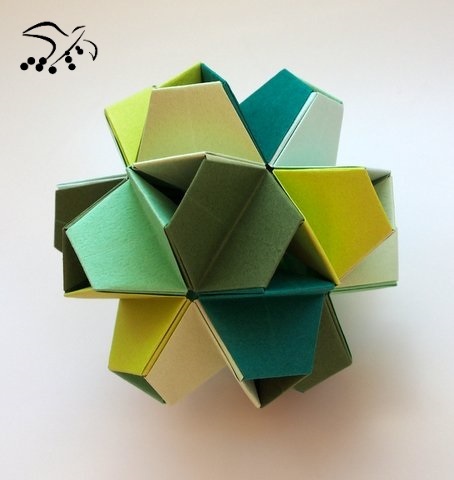 Although the icosahedral structure made with 30 units is the most common, it is possible to use the units to make smaller, larger, or even irregular shapes and structures.